Try this padded leather dog harness with brass fittings. Colors: black, brown. Choose the favorite padded dog harness UK bestseller for large dog breeds like Bullmastiff! 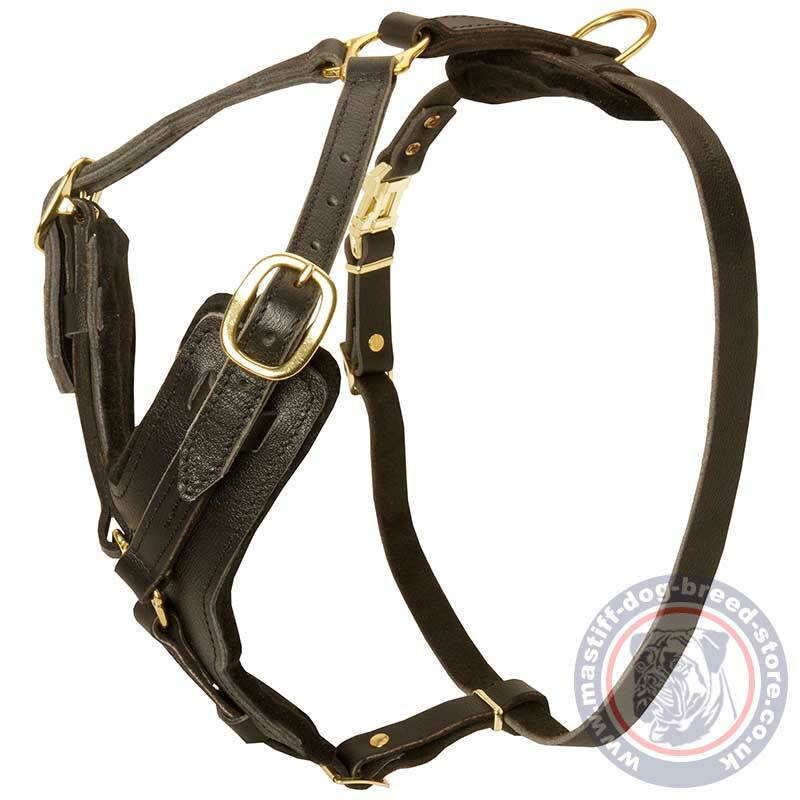 Super comfortable, top quality leather dog harness is handmade by professionals. 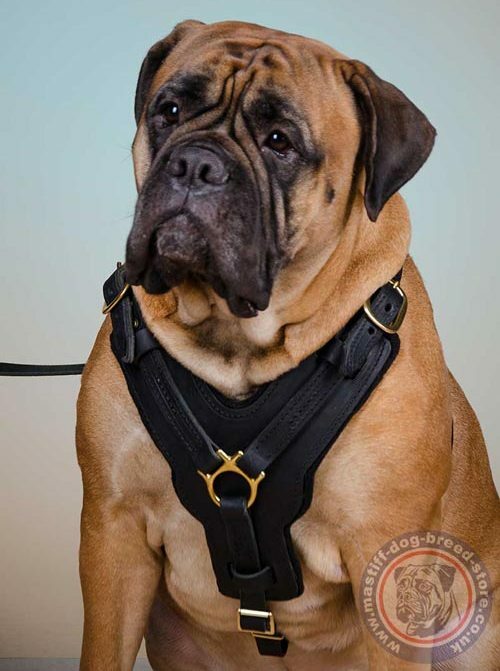 This padded dog harness large size is esipecially designed to be extremely strong and durable for a powerful Bullmastiff. At the same time this leather dog harness is very comfortable for dog body. The soft lining at the front and back plates prevents rubbing. Thus this dog harness is very comfortable for active dog walking, training, service and sport. Y shaped chest palte of Bullmastiff body harness protects dog chest from hurts in training. There is an option of back handle for better control over Bullmastiff temperament and strength. Mastiff dog breeds are the largest and the strongest canine representatives. You need a really quality gear to handle this dog. Though mastiff temperament is calm and friendly and sometimes a dog is even unaware of its power, fortunately :). This padded dog harness is intended especially for the needs of a Bullmastiff owner. 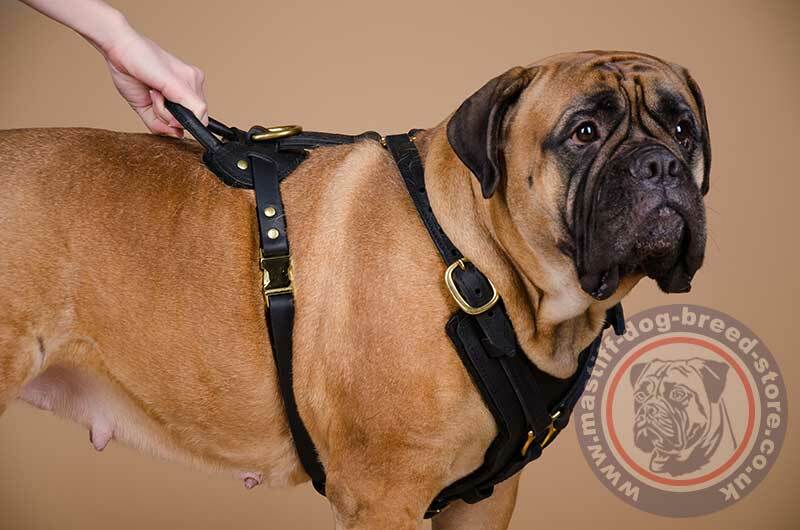 Our Bullmastiff body harness is super strong and comfortable! Dog trainers and owners use it for dog training in attack, agitation and for reliable control over a strong dog in daily walking. 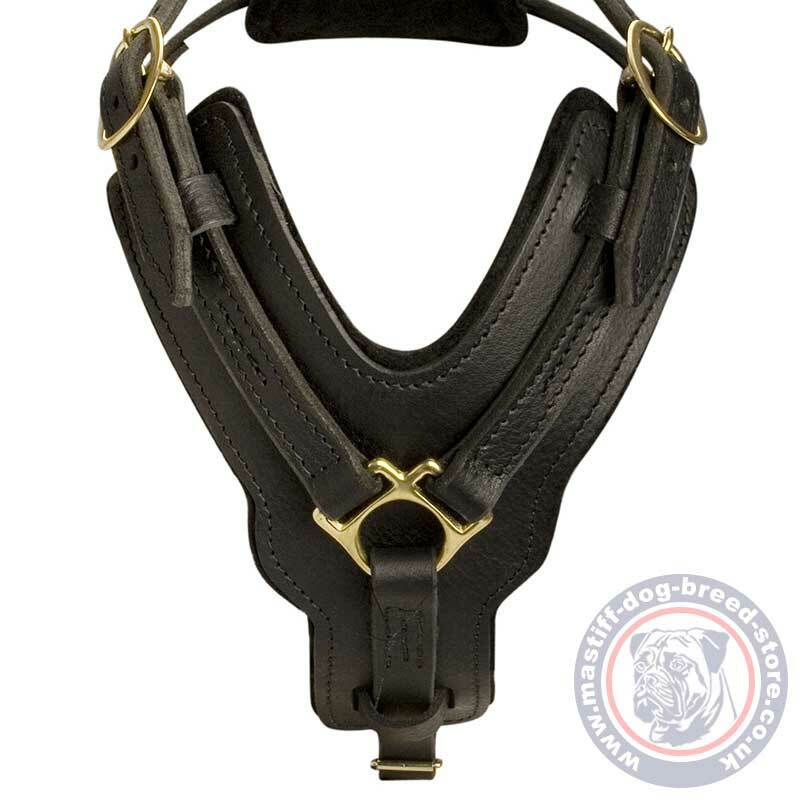 Elegant design of this Bullmastiff harness will make your dog look elegant and feel comfy.